Do you have an account with Dena Bank? Dena Bank is a well-known bank in India. The bank aims to deliver excellent banking services and products to satisfy the growing needs of the customers. The bank embraced the latest digital advancements in the banking sector. How do you check the available account balance in your account? The available traditional methods of making balance inquiry are passbook printing, accessing online banking services or using the debit/ATM card. But, the traditional methods of making balance enquiry are time-consuming and require extra effort. Even there are certain restrictions for the account holders with the traditional methods. You can dial a missed call toll free number to make the balance enquiry. The latest facilities and services are quite convenient for the account holders. Only customers who have registered mobile number for missed call facility, can take advantage of this service. 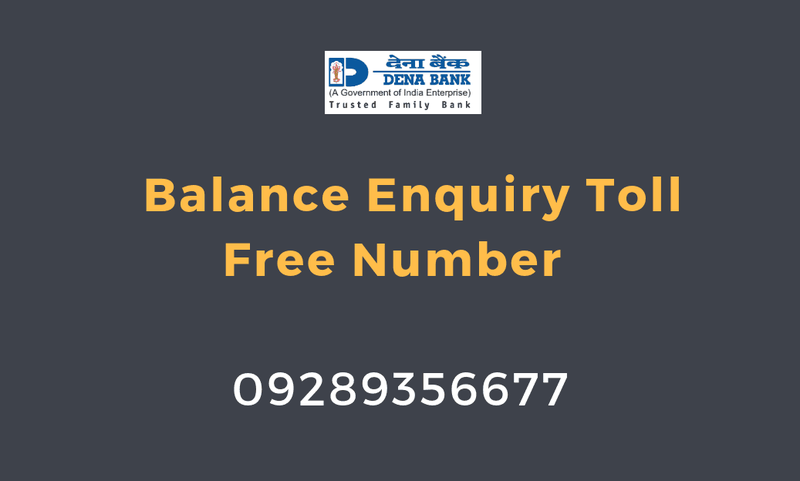 09289356677 is the toll-free number introduced by Dena Bank for balance inquiry purpose. Dial the toll-free number from your registered mobile number. Disconnect the call after 2-3 rings or the call will get disconnected automatically after a few rings. After the call gets disconnected, you will receive SMS within a few minutes. Open the SMS to find the detailed info regarding the available balance in your account. The account holders can dial the missed call toll free number without any cost. You can also dial the number any time and from anywhere. You will get the SMS stating the available balance in the account linked with the mobile number. Make sure to dial the balance enquiry toll free number from your registered mobile number! You can dial mini statement number 09278656677 to get details of last four transactions via SMS. So take full advantage of missed call facility provided by Dena bank.